Based on more than 150 interviews with experts in treatment and prevention. You can purchase this entire series as MP3 downloads. Why we drink. Why we abstain. What are alcoholic beverages? How do they affect us physically and mentally? The $70 billion alcohol beverage industry. The social consequences of excessive drinking. The growing trend toward lower consumption of booze. A medical and psychological analysis of problem drinking. When does it cross over into addiction? 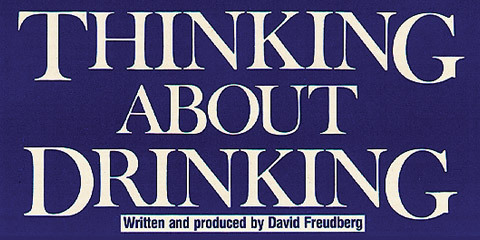 How and why alcoholics frequently deny their condition. How alcohol abuse damages the body and can be lethal. Detoxification. Virtually all problem drinkers can heal. The cruel double-standard applied to female alcoholics. A profile of the renowned Women’s Alcoholism Center in San Francisco. Why physical response to alcohol differs in women and men. Fetal Alcohol Syndrome—the dangers of drinking while pregnant. Alcoholism is sometimes called an “equal opportunity disease” because virtually no sector of society is immune from problem drinking. Until the founding of Alcoholics Anonymous in 1935, many drunkards were written off as hopeless. But in powerful first-person accounts heard in this program, members of AA tell how the hard work of recovery has restored them to healthy lives. Although its activities are conducted quietly, Alcoholics Anonymous holds literally thousands of meetings daily. 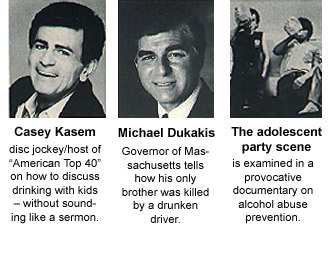 The sessions offer a haven of compassion for anyone trying to quit drinking. It’s now recognized almost universally by medical science and religions alike as a practical program for the willing. An intensely powerful human portrait of three alcoholics who wound up in trouble with alcohol—and who found the strength to face their problem and seek help. These moving first-person accounts draw listeners into the personal drama of recovery. An exploration of Alcoholics Anonymous—its history, philosophy and special magic. Getting honest, surrender, Higher Power. A fascinating historical recording of founder Bill “W.” Interviews taped at the AA’s amazing 50th anniversary convention. Children of alcoholics young and old. The dilemma of spouses trying to conduct a family with a disabled partner. Al-Anon founder Lois “W.” reads from her 1930s diary— a saga of desperation and faith. 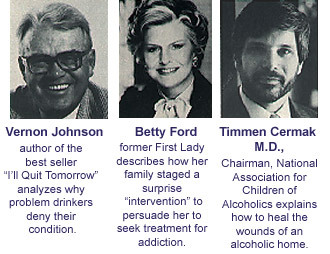 Betty Ford on intervention. A Georgia family enters recovery. How American corporations waste over $50 billion annually through alcohol’s disruption. Role of drinking in corporate culture—past and future. Rise of the Employee Assistance movement. Labor-management conflicts. Stories of workers who attained abstinence. Latino treatment professionals depict the heavy-drinking scene common among American Hispanics. How Spanish-speaking AA meetings make a difference. A focus on family-centered counseling. Alarming rate of Mexican-American alcohol fatalities. The story of American drinking from the Mayflower through post-Prohibition. Dramatic re-enactment of temperance movement. A visit with the WCTU. Archival tape from Prohibition; historians see pros and cons of that period. A plague that causes half of all highway fatalities and is the leading killer of kids. A look at innovative sentencing. What social policies—medical practice, taxes on liquor, insurance coverage—help to reduce drunken driving? A montage of drinking and drunkenness in film, TV, music and literature. How common a prop is booze? What hidden messages are conveyed to the audience. The impact of broadcast alcohol ads on youngsters, alcoholics, society as a whole.